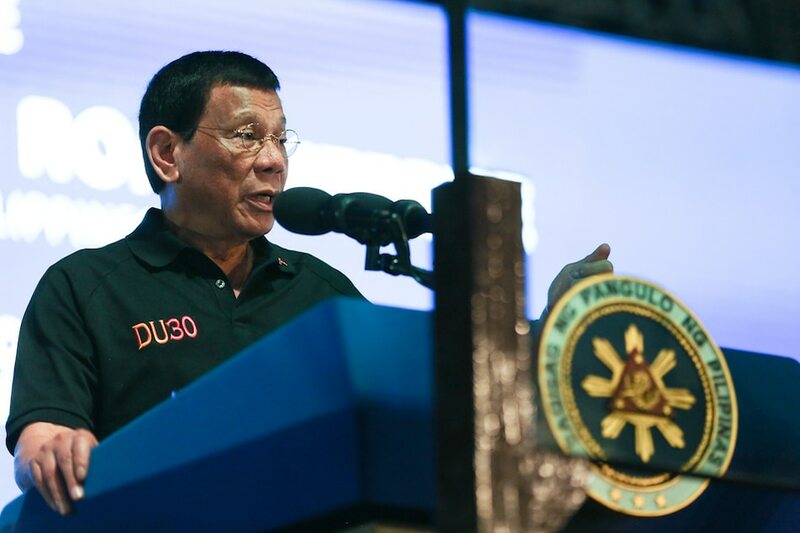 MANILA -- President Rodrigo Duterte "effectively" invoked the arbitral ruling that invalidated China's sweeping claim over the South China Sea when he told Beijing to "lay off" Philippine-occupied Pag-asa Island, a Palace official said Monday. Presidential Spokesperson Salvador Panelo on Monday maintained that the Duterte administration never shelved the Philippines' victory against China in its international arbitration case in the West Philippine Sea. "Effectively, his (Duterte) previous statement earlier when he said 'do not touch our property, if you do any harm to our soldiers we will respond in kind.' That effectively has already made a strong assertion of sovereignty and statement relatively to the arbitral ruling," Panelo told reporters in Malacanang. Beijing has refused to recognize a 2016 ruling from a UN-backed tribunal which invalidated its sweeping claims over the South China Sea. Duterte last week said he would not allow China to occupy Pag-asa Island as hundreds of Chinese vessels were sighted in the area. The military earlier reported that over 600 Chinese ships have been spotted near Pag-asa Island since January of this year. Panelo, however, noted that Manila and Beijing should maintain "peace and equilibrium" in the disputed waters to avoid any conflict. "Eh nag-uusap tayo eh (We're talking). Tsaka we are supposed to be friends. So, let’s be friendly first - pag-usapan natin (let's talk)," he said. “We have to forge a mutually satisfactory solution to the conflict in that area based on the directives of each Constitution as well as the aspirations of the peoples of these 2 countries," he said. Panelo earlier said Duterte might raise the issue of Chinese vessels near Pag-asa Island when the President visits China later this month for the second Belt and Road Forum for International Cooperation.